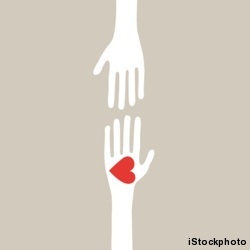 Your mission this holiday season: Give back. Below, 10 ways to make a healthy impact in Philly. By Kathryn Siegel·	 12/1/2011, 10:14 a.m.
What it does: Work to enhance quality of life for people affected by HIV/AIDs through community events, medical case management and support groups. What you can do: Take on responsibilities like one-on-one peer counseling, event organization, or even a few hours of office work. What it does: Through its Eat Right Now and Youth Development programs, Agatston educates West Philly kids about proper nutrition and provides hands-on experience in healthy cooking classes, tending community gardens and assisting at farmers’ markets. What you can do: Sign up where your strength lies: help teach a cooking class, cultivate a garden, organize an event or take on some office work. What it does: Arranges car rides for cancer patients who are unable to drive themselves to appointments and treatment sessions. What you can do: If you have a license and a car, sign up to be a driver coordinator and help out a patient in your area. What it does: Organizes running groups with the homeless to build strength and self-esteem. What you can do: Attend an orientation session—details are on the website—then join one of five running groups at locations around the city. What they do: Dole doses of humor—the best medicine—to patients at 19 hospitals in Pennsylvania and New Jersey. What you can do: Don a red nose, face paint and goofy shoes, and join a brigade of Caring Clowns. You’ll receive training before you see patients. What it does: Provides medical and dental services to kids in local shelters, and helps their families access info on health insurance, primary care and specialty care. What you can do: Participate in a fitness or nutrition educational workshop for both shelter staff and families. What it does: Helps women recovering from drug and alcohol addiction regain their lives through cycling. Women who complete the program are rewarded with their own bike. What you can do: Join in a ride at one of their Germantown, Mount Airy or Center City locations to begin mentoring a cyclist. Or head to Neighborhood Bike Works to help construct new bikes for program graduates. What it does: Educates families on obesity prevention and recovery through fitness, nutrition and informational programs. What you can do: Be a youth dance fitness instructor for Fitadelphia Kids, the center’s dance, yoga and nutrition program. All you need are some dance skills; LPWEC will teach you the basics of yoga and the nutrition curriculum. What it does: Offers volunteer opportunities every day, from tutoring local students to planting trees to working the check-in desk at an event. What you can do: Help out at Get Moving!, a weekly session where you read, talk and play with kids to encourage regular physical activity. What it does: Offers Pilates and barre classes to raise money to fight gender-based violence. 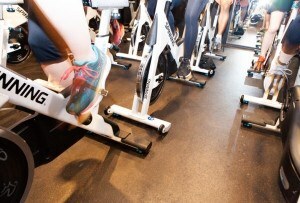 What you can do: Have a sweat session at the new Northern Liberties studio—proceeds go to the local organization REQ.1. >> For even more volunteer opportunities in Philly, check out this nifty database.